Remember those World War II shipwrecks that mysteriously vanished from the bottom of the Java Sea? When they were found to be missing in 2016, it was heavily suspected that illegal salvagers exploded the ships and then looted them for metal. According to new reports, those metal scavengers also brought up the remains of Dutch and British sailors—and then unceremoniously dumped them into mass graves. Needless to say, officials in the Netherlands and UK aren’t happy. As the Dutch site Telegraaf reports, workers employed by the metal scavengers say the remains were dumped in a common grave near the port of Brondong in east Java, Indonesia. The British Ministry of Defence has condemned the acts, saying it was in “distress” upon hearing the news. In the Netherlands, the Dutch parliament is in a furor over the situation, demanding answers from Indonesian officials. 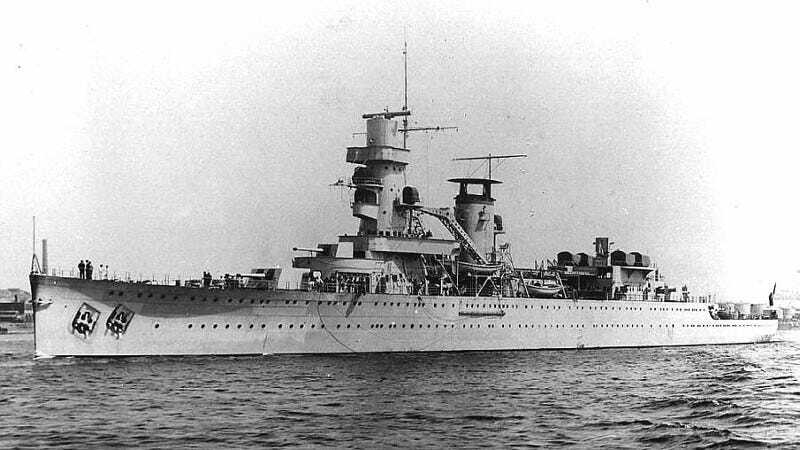 Back in 2016, the Dutch defense ministry was horrified to discover that three of its ships lost during the 1942 Battle of the Java Sea—the de Ruyter, Java, and Kortenaer—had all but disappeared from the seafloor. Scavengers, posing as fisherman, used explosives to rip apart the ships so that the resulting bits and pieces could be raised to a barge waiting on the surface. The material was brought to shore where workers meticulously sorted through the debris in search of valuable metals. According to The Guardian, the metal from a single ship can fetch upwards of $1.3 million. Around 40 WWII-era ships have been either partially or completely destroyed in the area, including UK, Australian, and US vessels. But the scavengers also came across the remains of Dutch and British soldiers killed during the historic naval battle. Amidst the debris the workers found skulls, jawbones, feet and hand bones, hips, and ribs. Indonesian website Tirto.id say the remains were bagged and buried at a depth of three feet (one meter). The British Government condemns the unauthorised disturbance of any wreck containing human remains. Under International Law naval warships and associated artefacts enjoy protection through Sovereign Immunity. International law also provides for protection for war graves. Desecration of wrecks of war and merchant vessels causes distress to loved ones of those lost on board and is against international law. A military wreck should remain undisturbed and those who lost their lives onboard should be allowed to rest in peace. This story is also causing great upset in the Netherlands. Members of the Dutch parliament are frustrated that there are no leads in the case, nor any suspects. The Netherlands is now asking Indonesian authorities for clarification about the fate of the Dutch warships and how something like this could have happened. The Dutch also want to know if it will be possible to secure the remains of the sailors so that a “decent funeral” can be arranged. As noted by the British defence ministry, laws, both international and national, exist to prevent this from happening (the US, for example, has the Sunken Military Craft Act). Enforcing these laws in foreign waters is difficult, but not completely impossible. In light of this incident, British officials are hatching a plan to monitor wrecks in UK waters with satellites, radar, and sensors. It’s not a stretch to believe that similar strategies could eventually be used to monitor wrecks in foreign waters as well.